This book is a guide to how some of the best British investors succeed in the stock market, and what you can learn from them. 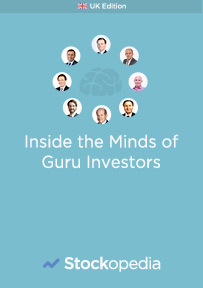 It includes in depth interviews with eight well-known investors who were either trading on their own account or managing large investment funds. Among them was a peer in the House of Lords, an ex-journalist-turned-DIY investing hero to a fund manager who set out to mimic Warren Buffett and made a mint. While their styles and strategies vary enormously, what they share in common is that they?ve all profited handsomely from investing over time. By sharing the highs and lows of their journeys, they offer some fascinating insights for anyone with aspirations of building wealth from the stock market.